The idea for this project began in a small meeting room at the University of Sheffield, and two years later we have successfully piloted our first low-cost, sustainable compost toilets in Namavundu, Kampala. With the brilliant engineering skills of Liam Manley and Dylan Tomlinson, the creativity of Emily Seth and the enthusiasm of the fundraising team we were able to see this project through in August 2018. Together with the community, we built a structurally sound toilet unit providing a safe sanitation space and have helped to prevent the spread of infectious diseases. We have equipped them with the skills to maintain their new toilet and to continue building them with our support. During my time as a programmes officer for SIDshare (a student run social enterprise at the University of Sheffield), I met with some engineers to discuss different solutions for development. We decided on a compost toilet for my partner NGO, Kids Club Kampala in Uganda. The sanitation situation in Uganda is dire and approximately 2 million Ugandans are living without toilet facilities. First, we had to decide on a location and conduct studies to ensure this project was feasible. We had to consider the cultural differences in toilet usage to ensure the new project would be accepted and valued in the community. We were ready to accept that there may be a host of reasons why the community would be uncomfortable adopting the compost toilet. Fortunately, the community fully embraced the project and welcomed all the new practices to using and maintaining the toilets. The ‘Uganda WC Project’ was born in September 2017, with the help of my fantastic new fundraising team. Our hugely successful ‘U’GAN JAM’ club nights enabled us to raise over £1,300 and were such fun to be a part of. They taught us how to be exceptionally organised, creative and adaptable. Our graphic poster designs, professional photographer and DJs all contributed to making these events so successful. We also hosted two Poker Nights with the University’s poker society, raising £500. We owe a special thank you to SIDshare for providing the platform to initiate this project, supporting us and for donating towards the project. We are also grateful to the University of Sheffield Alumni Fund for their generous donation and to everyone else who donated on our crowdfunding pages. I spent 6 weeks in Kampala on a self-funded placement for my Masters Dissertation with Kids Club Kampala. Alongside my research I worked with the Ugandan director, Sam, and the community development officer, Annette, to ensure everything was ready for the arrival of our two engineers in late July. I met with 9 women from the local women’s initiative who are now responsible for the cleaning and maintenance of the new toilet. They had some important questions for how the compost toilets would work and I was able to find out crucial information that the engineers needed to know for making final amendments to the toilet design. I also ran a small WASH and hygiene workshop with the women’s initiative to help improve the sanitation situation further. The goal of our project was to empower the community, and our engineers ensured that they would be left with the skills to confidently plan, build and maintain their own compost toilets. Thanks to the community’s enthusiasm and commitment to the project, their participation was faultless. Community members got stuck into every aspect of the construction, from foundation to painting, and we were able to provide a cash payment for their time. Continuing our partnership with the wonderful KCK keeps the project alive and now we are looking to run an evaluation of the project after 6 months to ensure the toilets are working, the community are happy and the possibility of future toilets. In the future we are hoping to establish ourselves as a formal social enterprise and consider other engineering solutions such as drone technology to address international development issues. Watch this space! 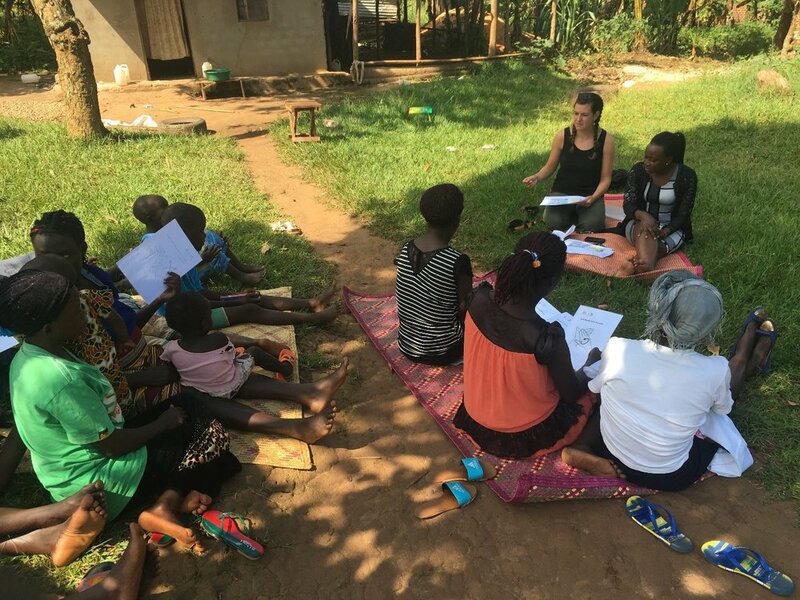 Older PostFive Ways to Empower Women and Girls with Kids Club Kampala !